Cultural Connections Project - The DP of Fernando R.
I feel that this project wasn’t very challenging because once I had an idea I was completely inspired to do my best. 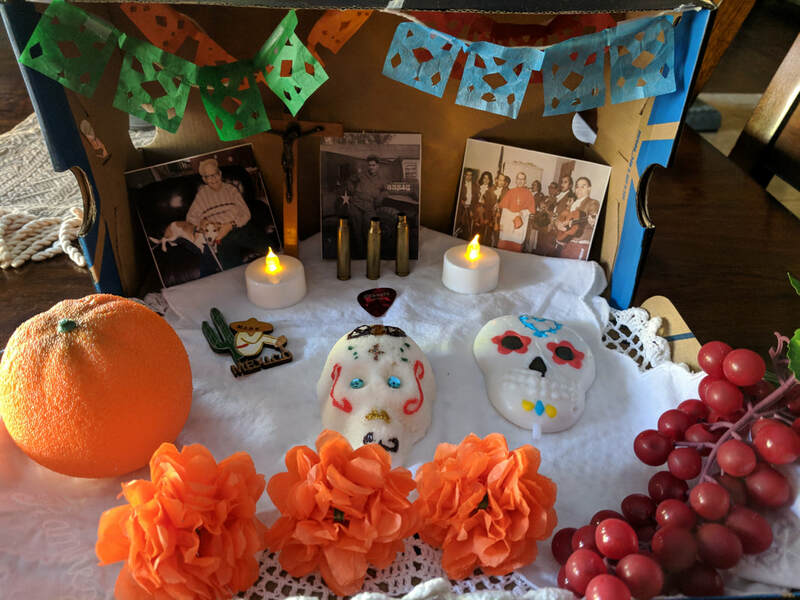 I loved the idea of making a small ofrenda to someone special and I set into action almost instantly, I got out a shoebox, thought of a layout and what decorations and offerings I could add to the altar, and went to the store to buy supplies. Throughout the whole project I felt motivated and prepared and I finished rather early which allowed me to add even more details to make it better, such as a handmade sugar skull. The history and literature part of the project was also very interesting, and therefore motivating so I kept up with that aspect of the project. ​I really enjoyed the tenderness and open aspect of the project. I was free to choose whomever I wanted and the parameters for the design of the actual ofrenda and storytelling was very loose so as to respect each individual's interpretation of the project. Some might have taken this in a very weird and unorthodox way but it really allowed us to show our passions and tell the story of those who passed on. 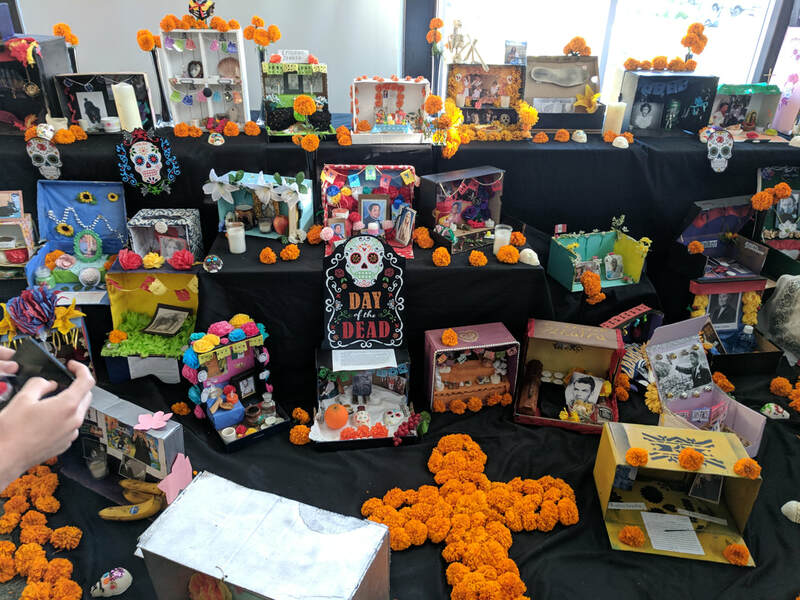 It is very important to showcase and remember these people especially for Dia De Los Muertos and so this project was crafted perfectly to do so. For the illustrated journal we got a bit of feedback and suggestion to make it a better final piece. We got suggestions from our group mates on how to bind the book and make it look nice. At first we were just going to staple all of the pages together but we were given the great idea to use string to essentially “bind” the book by perforating holes in the spine and wrapping the string through all of the holes. The end result turned out really beautiful and a lot better than I was expecting or than it would have been if we just stapled them together. The score that I could get would be somewhere around an A. This is because I really tried to put out my best work on all of the products that I made, also because I finished early on some things I tried to get feedback that I could use to make my product even better and elevate it to another level. I wish we learned more about how the Day of the Dead and prehispanic/Spanish culture connected and the roots of the holiday in terms of the history of the two groups. It felt a bit separated and could have merged a bit nicer in my opinion.